One could say Stick-it was dead. But if they did they would be a Nancy or maybe a Sally. Because any real man knows Stick-it wouldn't die any sooner than the Highlander would. However Stick-it was recently in a deep hibernation. And as any scholar of bear society knows there is a direct correlation between how long a hibernation a bear can survive and how badass that bear is. For instance Yogi can hibernate for a very long time, the Berenstain Bears on the other hand not so long. Well the same is true for sports. And while Stick-it may not be able to hibernate for as long as the Chicago Bears, being both bears and a sports team and all badass, it can still out hibernate most things. As proof of this Stick-it has survived a nearly 4-year hibernation, so hold on to your picnic baskets cause fun is back in town. Anyway Check out the Rules and start playing again and feel free to email me (or harrass me on AIM) with your your questions, comments, or ideas, even if completely unrelated to Stick-it. TJ Toasterstein, El Presidente of the Bloomington/Normal chapter won the first ever Stick It To The Man With A Fine Roll Of Duct Tape World Tournament with an impressive victory over Will "Mullet" Schaeffer in the championship match. TJ's only comment about the victory was, and I quote, "omg, lolz!!!11~~~." Jeremy "BASH" Powerson finished third, and Bill "I Can't Believe He Ate The Whole Thing" Shoeworth finished fourth. Taking control of the loser's bracket for the World's Worst Stick It Player was our very own Lord Webmagic, Nate Walsh, who was defeated in an abysmal game by Yousaf "Yousyphillis, Ucef, Youcifer, Unicef ..." Marzipan. Lord Webmagic, Nate Walsh refused to comment. This tournament set a record for broken sticks as no less than seven sticks were broken out of anger, love, or some other emotion that I couldn't possibly comprehend. Afterwards, champion TJ Toasterstein bought pizza for everyone as we made a horrific scene at Pizza Hut that included Kyle Wild furiously pumping away at a greased up banana while playing Monkey Ball. Stick It To The Man With A Fine Roll Of Duct Tape World Tournament Champion, TJ Toasterstein, El Presidente of the Bloomington/Normal Chapter, has announced plans for another tournament on August 16th. A pot of $100 has been put up by the champion, but he says that he will not compete in the tournament. Lots of the new things to discuss today. For starters, we have obtained a Stick It Online Forum. It is linked above in red, so head on over and get yourself an account. Also with the tournament about two weeks away, all of you lazy people only have 10 days to send in your entry E-Mail to stickitworldtourny@hotmail.com, with your name, where you live, T-shirt size, how long you have been playing Stick It, and a description of your skills in 50 words or less. Entry fee is $10 which comes with a shirt. The Stick It World Champion will recieve a cash prize valued at 60% of the purse, and a sweet trophy I made and have since lost the only photograph of. There will also be awards and cash prizes for 2nd and 3rd, but rest assured that these, while smaller and less breathtaking, will still be wonderful and will still win you many points with the ladies. Underwood Park is located here, at the intersetion of Linden and Jersey, in NORMAL (not Bloomington). However, the basketball courts where the games will be taking place is entirely on Jersey, so make sure you turn down Jersey to get there. To get directions, enter your address into Mapquest, with the end destination being Linden St. and Jersey Ave, NORMAL,IL. If you have any problems just message me and I will do it for you, since I am woefully unemployed. BIG NEWS EVERYONE!! The National Stick It Association will be holding the first ever Stick It World Tournament, July 19th at Underwood Park in Normal, IL. Entry fee will be $10 and will come with a Tournament T-shirt. $5 of your entry fee will be placed in a tournament purse. The winner of the tournament will get 60% of the purse, while the 2nd place contestant gets 30%, and 3rd place receives 10%. There will also be other Stick It merchandise and plenty of contests; be the contestant that traveled the and farthest receive a mystery prize valued at $20!! EXCITMENT!! If you want a shot to be the officially recognized Stick It World Champ send an email to stickitworldtourny@hotmail.com. Include your name, where you are from, how long you have been playing stick it, T-Shirt size, and a description of your Stick It abilities in 50 words or less. Even if you have told myself or Will or TJ that you wish to participate in the tournament you must email us to officially enter. Entrants will be accepted up until July 12th. If you do not register before this date you can still show up and we will try to place you in the bracket but we will make no guarantees. Directions to Underwood Park and other details will be made available shortly. Enter for your chance to impress girls with your new found wealth and fame, as well as to say that you are the best Stick It player in the world! Ok. I have a couple winners of contests to announce. First the winner of the 'Win one of Will's random DVDs' is T.J. Toasterstein of Bloomington/Normal. We actually had a tie with random criterea I was juding on(due to the overwhelming entry of 3 people) so I hadto go to a secondary criterea. Also T.J. forgot to include his mailing address, so I'll be waiting for him to come pick up his new copy of "Play It To The Bone" rather than mail it to him. 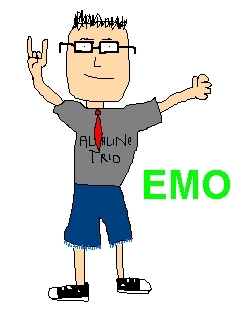 Also I have a new banner contest to announce. You could WIN 2 random mystery dvds (They can't both be bad right?) Anyway all entries should be submitted to either Bill or myself. Entries must be under 20k in size and be 468X60 pixels to qualify. They will be judged entirely based on how many people from the Something Awful forums we think will click on them. This basically means make it funny. I will post a deadline for entries at a later date. As, always if you or your friends are interested in Stick-It let us know we can help you out and answer any questions you might have and let you know if anyone in your area plays already. PRIZES!!! FREE!! Ok so it is more like free prize and not prizes but still its pretty exciting. 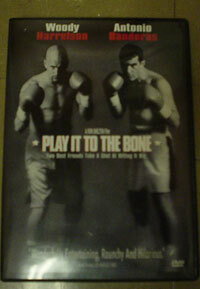 I've decided in an attempt to be more random and incourage more visitors I will have a series of contests called "Win one of Will's random DVDs" this week the featured DVD is 'Play It To The Bone'. Since I don't think randomly selecting an email is random enough, I'll choose based on a random thing involving the emails. Ok the contest will end Friday the 11th at noon so get your emails, please include name and mailing address, to me. Hey - it's me, Will, again. Once again just a small update. Added a FAQ section since we were receiving some questions. Also clarified the rules in response to the questions. And there is now a map showing where Stick-It is played on the contact section, so if you play Stick-It, please let Bill or myself know and we will add you to the map. In an attempt to prove my literacy, I decided to update the page myself today. This isn't a big update, but I added a few clarifications to the rules page and put a thank you to Allen Wittman for the hosting us on the Contact Info page. Also, we will be announcing the winner of the logo contest and unveiling the winning logo very soon, so keep checking back. In other news, I'm going to try and get some group Stick-It pictures taken this weekend so if you want to find out more about Stick-It and get your picture taken for the website, or if you just like seeing your own face on the internet and are around Champaign-Urbana this weekend let me know. News, kids. Well, not really... But there will be! Except a semi-big update in the next few days, but for now - a couple of announcements: 1) The banner should be up on the Something Awful forums, so enjoy it for the next month or so! 2) There is a NEW CONTEST in effect! We are in search of a logo - something along the lines of the NBA logo with the little dribbling guy (which I will not be putting on here directly because they would immediately sue us). Entries should be sent to Bill , Will, or myself. 3) In case you were wondering, yes, our official theme song is Great White's classic "Stick It:"
"The old man told me 'Hey you! Make a choice. I told him 'Stick it.' My rock's here to stay. He won a copy of the Empire Records DVD, so keep that in mind the next time a contest rolls around! BIG PRIZES! AND CONSTANT MOCKING! New pictures galore! On all pages but fan art! Yes! We also have a � symbol at the bottom here, making us all the more impressive. Since this is the first time I'm updating the main page, I'd like to take this opportunity to tell you that, if upon reading this page, you feel compelled enough to start your own Stick-It club for your neighborhood/school/lame clique, you should contact a current member of HICSIE (HIgh Council of Stick-It Elders) such as myself or Will. We will gladly provide documents and advice about how to start your own successful league. Even if you don't want our help, at least inform us that you are starting one, so that your league can be offcially recognized by HICSIE. There aren't any fees, so don't be lame and not tell us about your league. Also, once I get around to scanning all these pictures I have, I plan on making a fairly massive picture update. So just sit tight and keep on stickin'. Welcome to the official website for the newest sports craze, Stick It to the Man With a Fine Roll of Duct Tape (Or Stick-It for short) We are heavily under construction, but updates should be frequent. Have a look around!